The all-new 2018 VW Atlas SUV was designed from the ground up with the North American driver in-mind. The German automaker’s expertise in building safe, efficient vehicles has been focused on creating a mid-size SUV for Canada and the US that delivers everything you need in an SUV: space, style, function, and safety. The 2018 VW Atlas is quickly making a name for itself as the SUV that suits the needs of families, professionals, and the outdoor weekend warrior. Generally, many believe that a larger a vehicle is associated with a decrease in ride quality. The Atlas bucks that trend and has received glowing reviews with ride quality being a strong highlight. The steering and braking on the 2018 Atlas are particularly impressive. Make no mistake, this VW is ready for the dirt roads that lead to your cottage or that rocky hill you need negotiate to put your boat in the water. The Atlas’ 6-cylinder engine puts out 276 hp and 266 lb-ft of torque, making it a good looking, capable SUV great for cottage life, city life, or a combination of the two. The all-new Atlas is big and VW makes no apologies for its size. The fact is a big, capable SUV is hard to come by. There are plenty of competitors in the segment, but few live up to the promises and claims thrown around by their manufacturers. The Atlas is a big SUV–it’s almost 25 cm longer than the closest VW counterpart–and has plenty of space for your busy life. You’ll also be happy to know it’s third row of seats fit more than just kids and a small dog. The 2018 Atlas is available in a range of trim levels with the Atlas Highline coming in as the pinnacle trim level available. 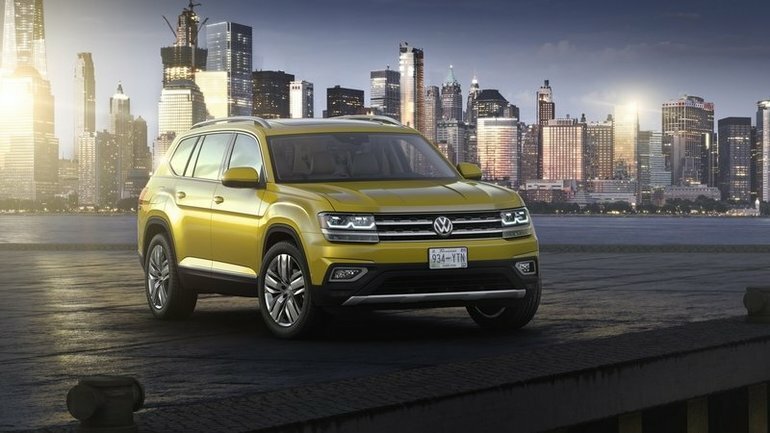 The Atlas Highline comes with VW’s impressive 3.6L V6 engine and 4 Motion All-Wheel Drive w/ Drive Mode Selection, making your Atlas ready for all road and weather conditions. The Atlas Highline is packed with useful features including Power tailgate w/ Easy Open technology, panoramic power sunroof, heated rear seats, Park Distance Control, and a host of other technologies that bring the 2018 Atlas Highline to a whole new level. Book a test drive and experience the 2018 Atlas for yourself; you’ll quickly find out why this impressive mid-size SUV is converting so many driver’s of domestic vehicles to the VW family.